The French Crop is the ultimate hairstyle for men. 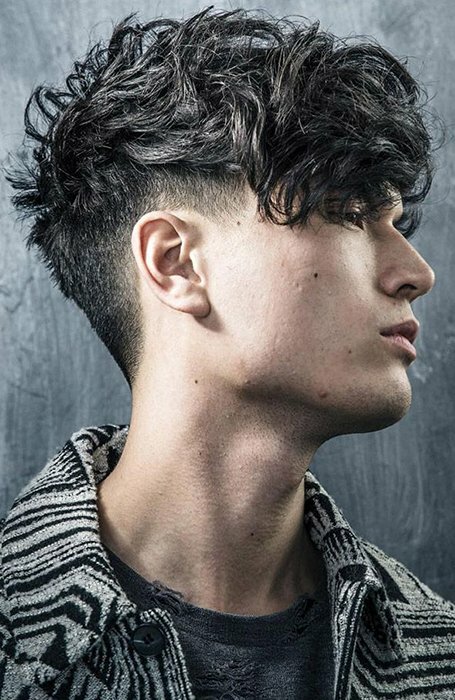 This neat and short haircut is low-maintenance and ideal for anyone who doesn’t like to spend much time styling their hair but still wants to look dapper. It is universally flattering and is great for gents with thin hair and receding hairlines. 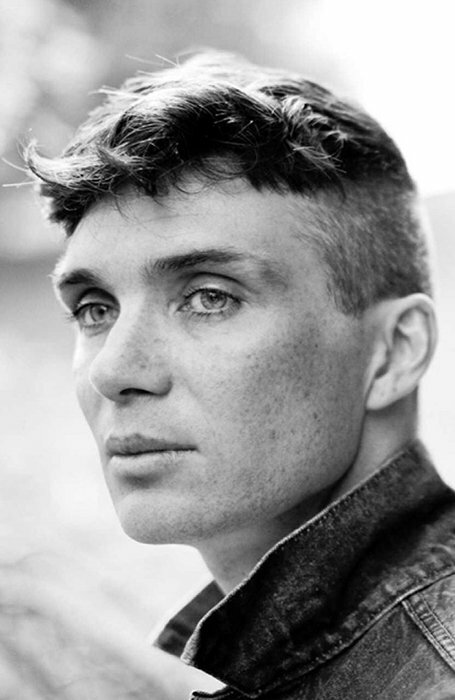 From undercuts to curls and fades, these are the best French Crop haircuts for the modern man. 1 What is a French Crop? What is a French Crop? The French Crop hairstyle is very similar to the Caesar Cut. It often involves a taper fade or undercut with short hair on the top as well. The main difference between a French Crop and a Caesar cut is that the French version involves a long fringe or more length on top of the head. This length varies depending on personal preference. However, the fringe makes this cut much easier to style than the Caesar. The French Crop’s additional length provides more options when it comes to parting and forelock styles. 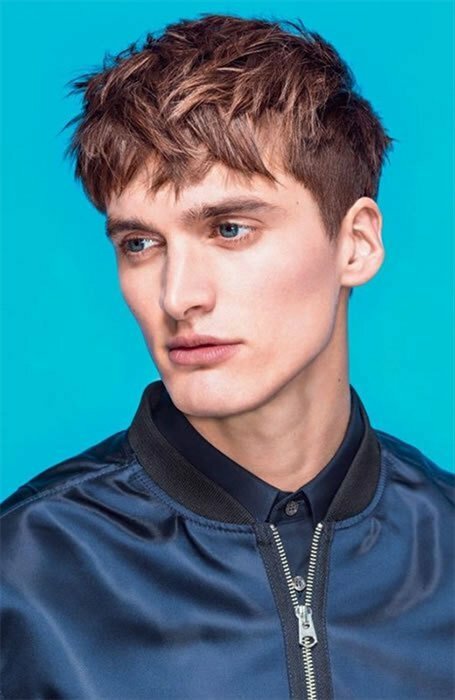 The classic French crop involves clipped hair at the back and sides to provide a subtle sharp look. However, this should still only be a slight contrast with the length of the hair at the top. The rest of your hair can be styled in a number of ways. 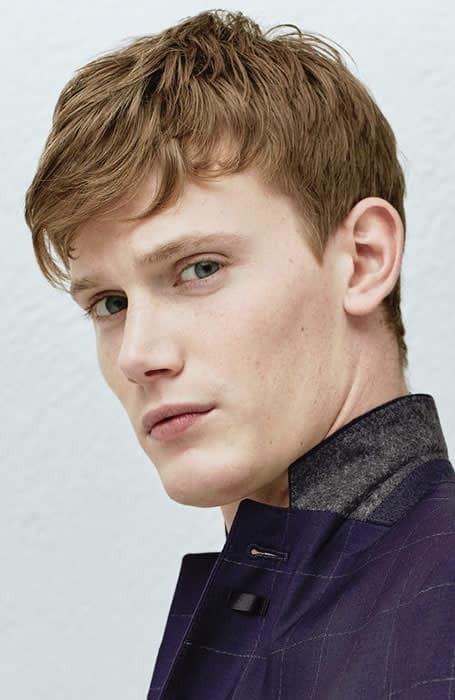 If you’re after a clean cut look, try blunt cutting the fringe. This will produce a solid shape and allow you to slick your hair if needed. The short French Crop is ideal for anyone looking for a cool cut which requires minimal to no styling. This is a neat and dapper hairstyle perfect for any professional man or someone who is always on the go. Simply use a small amount of wax or hair clay evenly through your hair. Depending on how short and thick your hair is you may even be able to get away with not styling it at all. Keeping some length at the top of your mane allows you to have more versatility with your look. 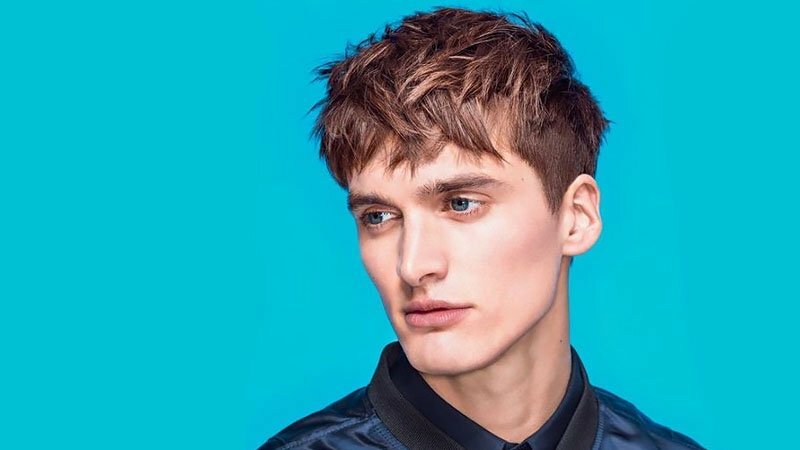 From quiffs to side parts, a long French Crop lets you do it all. The only trade-off for keeping some length may be more regular trips to the barber to keep the sides and top in proportion. 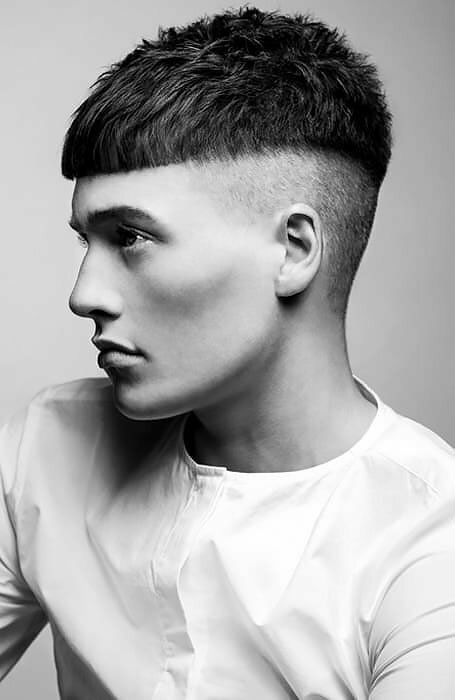 Adding a masculine fade is the perfect way to create an edgy take on the traditional French Crop. Fades are one of the most popular cuts for men so mixing it in will give your crop a more modern, yet still classic vibe. A fade also means your look will be easier to style. Keep the top simple and let the sides speak for themselves. If you’re wanting a clean cut French Crop but are still after a rugged look, keep the hair on top long to medium in length. Starting at the roots, apply a small amount of pomade through your locks messing them up as you go. Be careful not to use too much product – your hair should be kept light and feathery. 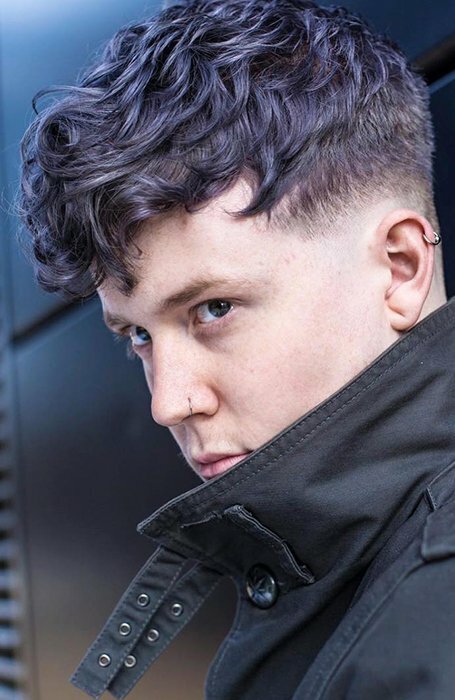 A disconnect french crop haircut is a style where the hair becomes abruptly shorter at the sides and back from that at the top of the head. 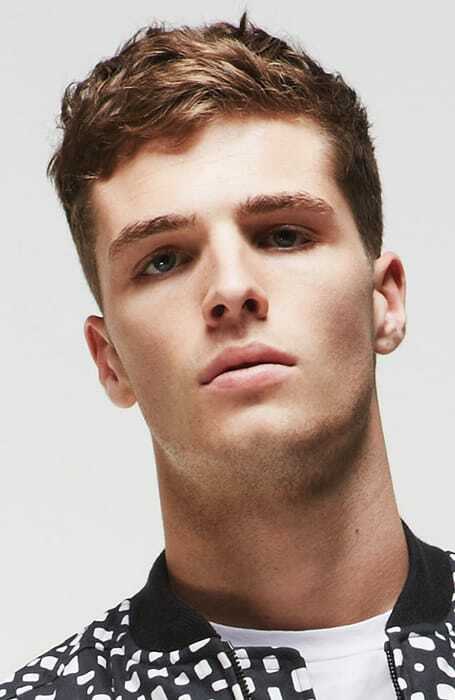 Disconnected haircuts usually finish with a clipped length at the hairline and the sides of the head. 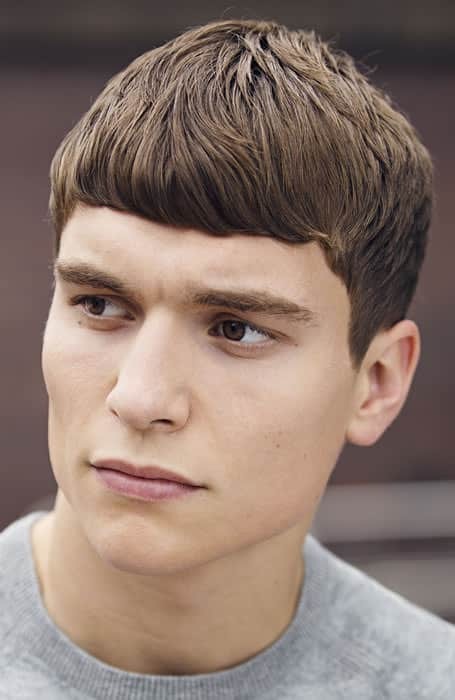 This not only gives a traditional French Crop a cool disconnected look but it is also very versatile and requires almost no styling. A straight French Crop is one of the easiest looks to maintain, Provided your locks are naturally straight of course. Once you have had your chop, just comb the hair at the top so that it is smooth and use a small amount of hairspray to prevent flyaways. If your hair is not naturally straight you can always run a flat iron through the top. This will keep your mane in place all day. An undercut is another cool way to add some edge to this classic style. Have your hair longer at the top and shaved at the bottom. The hair on top should also be point cut and have some portion of the hair falling over the forehead. This creates a sharp and striking contrast. Undercuts are very versatile and can easily take you from professional to playful with a few simple styling changes. For a sleek look, keep the hair on top straight and slicked forward. Otherwise, let your hair fall freely and add some texture for rugged aesthetic. 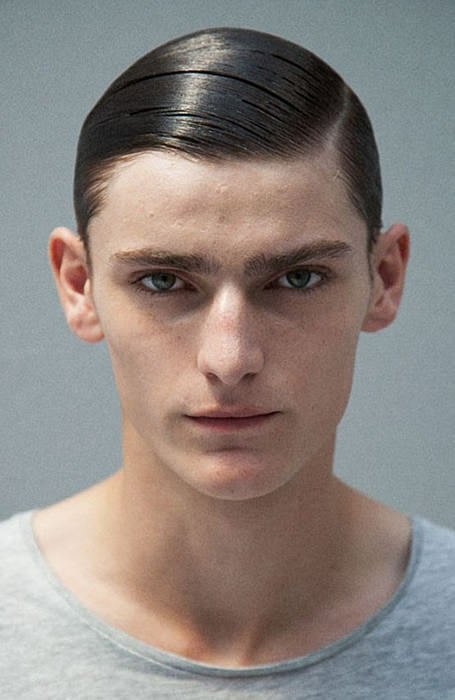 A French Crop is a perfect style to combat a receding hairline. Particularly if you’ve got ‘M shape’ at your forehead, this style will work wonders to hide it. The hair on top should be blended with a layered fringe. Style using a lightweight product for a messy yet done look. If you have curly hair you can still enjoy the benefits of the French Crop. Have the sides cut as short as possible or into a fade and let your natural curls fall down over your forehead. This will accentuate your curls and make your hair look more voluminous. The more your curls are highlighted, the more striking the contrast will be. If you’re after a neater look, try reducing the length of your curls on the top of your head. Have your barber cut the hair horizontally across your forehead to create a neat and tidy shape. Keeping your locks messy and tousled on top will create a fresh take on the classic French Crop. This is a great look for younger men or those who want a style which is a little more interesting or youthful. This can look as rugged or as playful as you like, it just depends how you rock your messy look. Style using hair wax by roughly running your hands through the top of the hair. Pull pieces in different directions and set with a light coat of hairspray. This is the ultimate woke up like this, laid back bro style, however, it certainly looks sleek enough to wear out on the town. Combining a French Crop with a slick comb-over is the perfect style for any gentleman. Keep your hair medium to long at the top and blow dry it back, pulling it to one side using a round barrel brush. 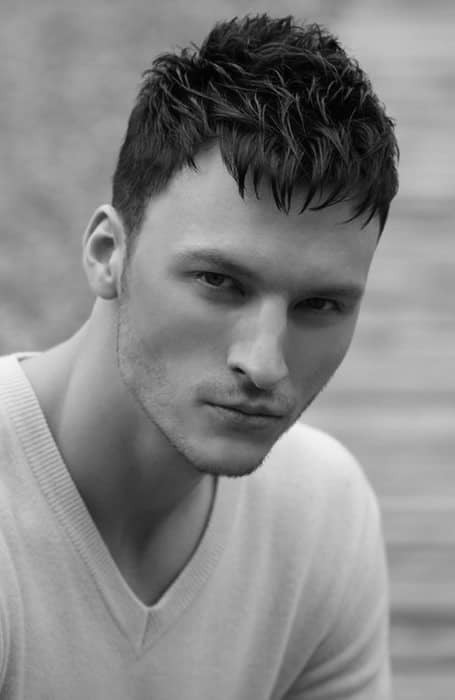 Add some texture to the combover by running a small amount of wax through it and secure with a light mist of hairspray. This style is great for work or play. It is also ageless, easy to achieve, and will suit any face shape. 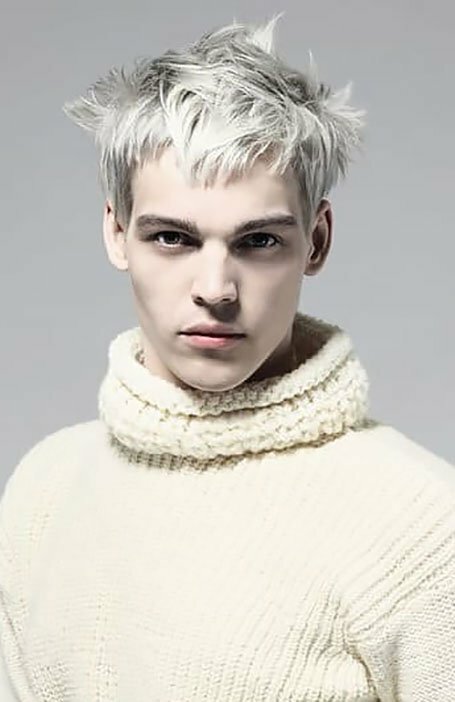 This is the most extreme faded style and probably one of the most low-maintenance haircuts you can have. 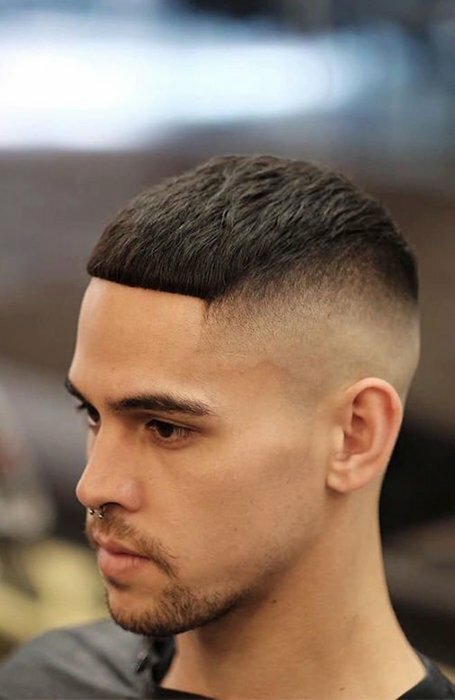 A skin fade means that the hair on the sides blends into the skin. 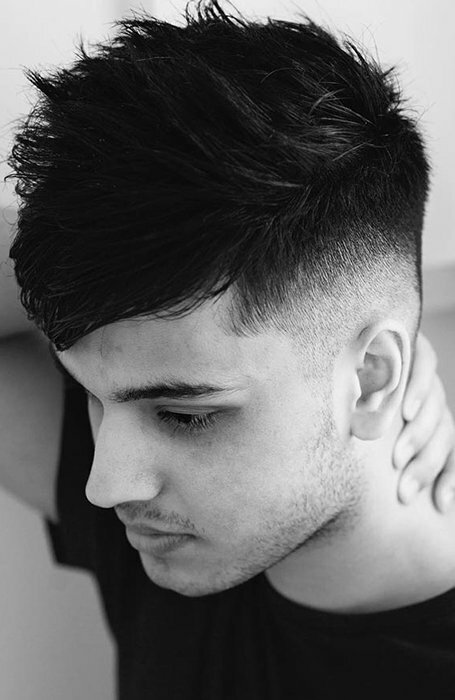 Keep your hair at the top point cut, to create a dramatic contrast with your skin fade. If you still have some extra length, try flicking your fringe to one side. This is a laid-back yet very effective look. 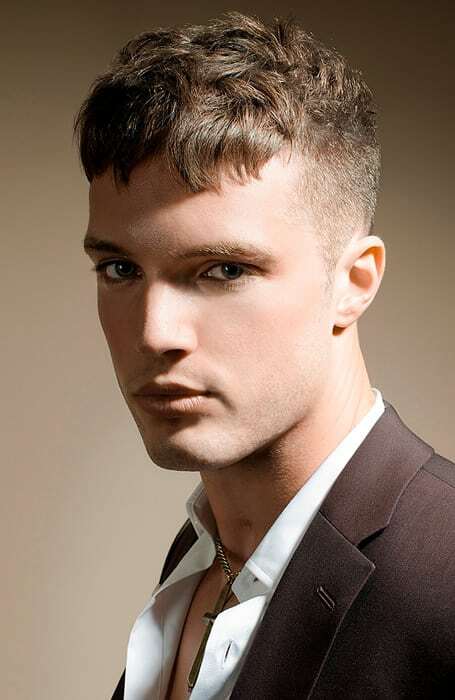 A low fade tapers hair down the shortest around the hairline which is less dramatic than the skin fade. So it is a good in-between if you’re still wanting to keep some of your locks. Adding a low fade to the sides of your textured French Crop works well as the tousled locks on top will create a modern look with a contrast. A textured French crop looks effortlessly cool with blonde hair. It is clean and sophisticated while still being on trend. Keep the top of your hair medium to short with hair clipped on the sides. 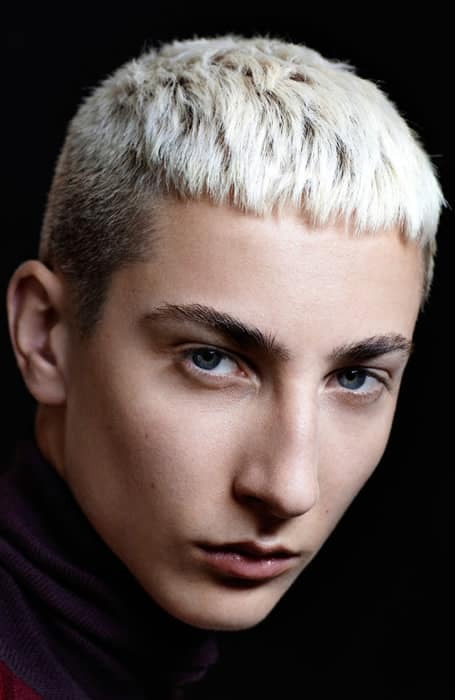 If you’re going for a more edgy look, go for a tapered fade French Crop with an icy shade of blonde. Have your crop cut in a way which best suits your face shape and hair type. Chose your style. A French Crop is traditionally styled towards the front of the face, but you can play around with this to find the most flattering option for you. Wash or wet your hair and blow dry it. Using a round bristle brush blow your hair in the directing you want it to sit. Be careful not to get your drier too close to your hair as this can cause frizz or even burn your hair, resulting in permeant damage. Keep your hair in place using a small amount of wax or clay. Work it evenly through your hair in the same direction you blowdried it.